BJP IT Cell Head Amit Malviya Uses 4-month old video of Mamata Banerjee to claim that she has refused to work with Rahul Gandhi post his elevation as Congress President. But did she say that? Tweeting a very cleverly edited 12-second video, BJP’s IT Cell Chief Amit Malviya today claimed that Trinamool Congress Chief and Chief Minister Mamata Banerjee has refused to work with Rahul Gandhi. In his tweet, Malviya said that “Banerjee has fired the first salvo refusing to work with Rahul Gandhi who has lead Congress party to 29 successive electoral drubbings, yet was elevated as its President”. But a closer look at the full video shows that neither was this interview given in the last one week nor did Banerjee say that she will not work with Rahul Gandhi. Speaking to CNN News18’s Bhupendra Chaubey at its ‘Rising Bengal’ event on August 18 this year, Banerjee spent a better part of one-and-half hour show attacking the BJP and the Narendra Modi-Amit Shah leadership for interfering in the work done by the states. She also lead a blistering attack on the Modi government accusing them of setting up the CBI to harass her party leaders and industrialists close to her regime – a reference to the Saradha chit scam case where several of her party leaders have come under the CBI scanner. Now listen to the last 6 minutes of the show in the above video taken from CNBC-TV18’s Facebook feed. The transcript of the exchange between Bhupendra Choubey and Mamata Banerjee shows that she was reacting to Chaubey’s question where he started by asking that “You have worked with Rahul Gandhi, You have worked with Atal Bihari Vajpayee…..” At this point Banerjee interrupts and reminds Chaubey that Rahul Gandhi is a kid and how will she work with him? She then says that she met him only 4-5 years back. It clearly appears that Banerjee was responding to Chaubey’s question and clarifying that since Gandhi is a young politician, she has never worked with him as she met him only 4-5 years back. At best, it looks like Banerjee’s poor command over the Hindi language made her sound that she will never work with Gandhi. But the flow of the conversation shows that while she remains non-committal about any alliance with the Congress and initially did sound dismissive of him, she later on insisted that Gandhi should be given more time. 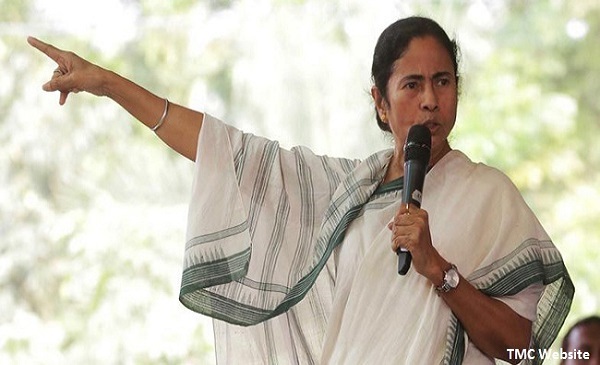 While there is no doubt that Mamata Banerjee and the Trinamool Congress have ambitions that involves uniting the opposition under her to challenge the BJP and Narendra Modi in 2019, it is also clear from the reference to a bouquet instead of a single flower, that she is under no illusion of a strong opposition minus the Congress party. Also, four months is a long time in politics. Ever since this conversation took place, the Congress has seen a revival in the party’s efforts to fight elections with Gandhi leading the campaign in Gujarat. While BJP managed to win Gujarat for the sixth successive term, at 99 seats, this is its lowest tally in the last 22 years. On the other side, the Congress and its allies managed to bring its tally to 80 seats, one of its best performances in the BJP stronghold state over the last two decades. While she refrained from publicly congratulating Rahul Gandhi for leading his party and giving the BJP a tough fight, there is no doubt from her tweet that she understands the significance of the scare that the BJP faced in the state. Meanwhile, one of Amit Malviya’s followers had this word of advice for his obsession with the Congress and Rahul Gandhi.